The four buildings of the Klukwan Traditional Knowledge Camp serve a dual purpose—the first priority is to educate the local community and guests in the traditional skills and knowledge associated with our subsistence style living, and traditional wood carving and construction. The second purpose is to provide an authentically native setting to educate visitors who are passing through and have only a short window of opportunity to learn about our culture. 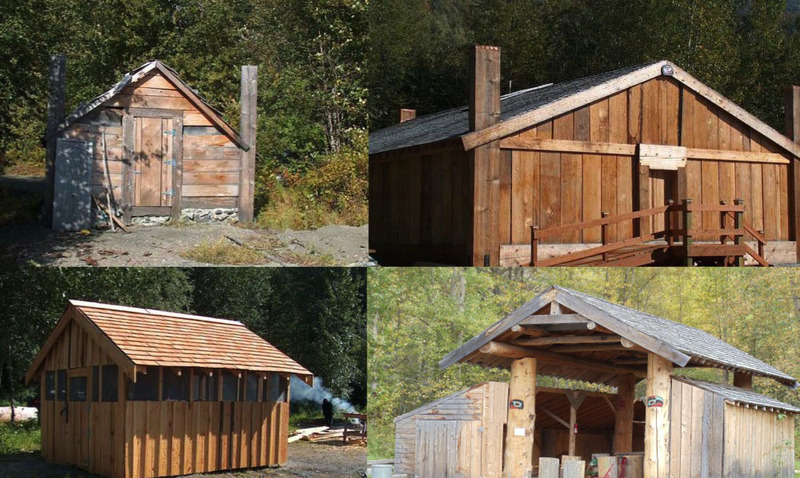 The camp buildings include the old style plank clan house, smoke house, fish drying shed, and adzing shed (carving shelter). The Traditional Knowledge Camp is where we hold our Salmon Camps and big carving projects such as totem poles or canoes.